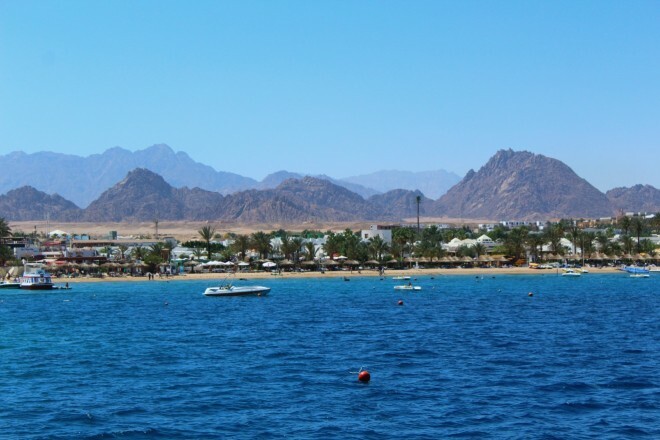 Sharm-El-Sheikh is an Egyptian coastal town located in the Sinai Peninsula, where the beautiful Sinai Mountains meet the Red Sea. This place is one of the top destinations among divers and watersports and beach lovers. 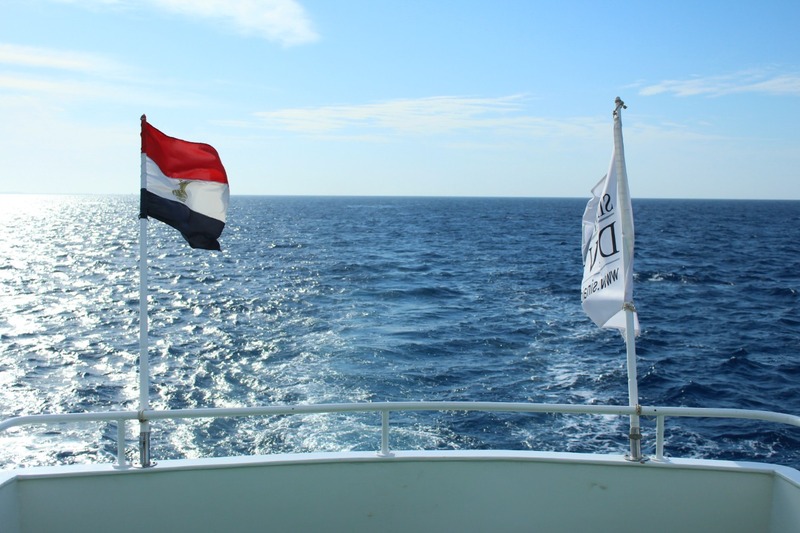 It is where you find 3 of the best 50 dives sites in World, and the famous and amazing protected National Park Ras Mohamed. Sharm-El-Sheikh has an international airport, which is actually pretty busy, and flying is the best way to get there. I took a direct flight from Munich, which lasted 4 hours. I have previously mentioned about the Egyptian Visa on my post about Marsa Alam, and it works the same for Sharm-El-Sheikh. 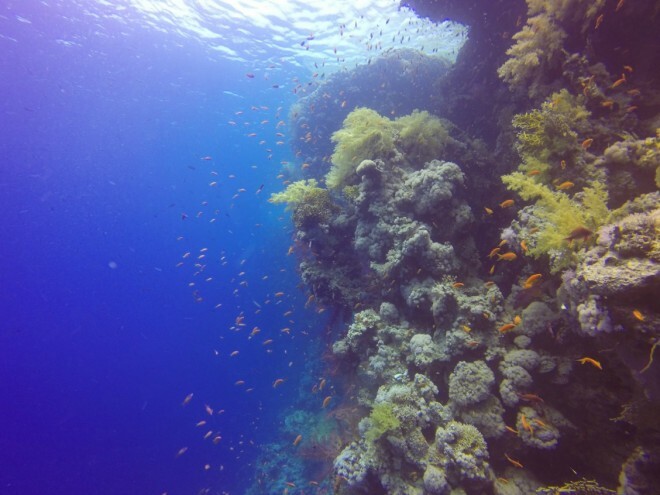 Though, if you are a diver and expect to see certain dive sites like the famous SS Thistlegorm, you will need the full visa (25 Euros), not only the simple one people normally gets. There is a lot to do there. 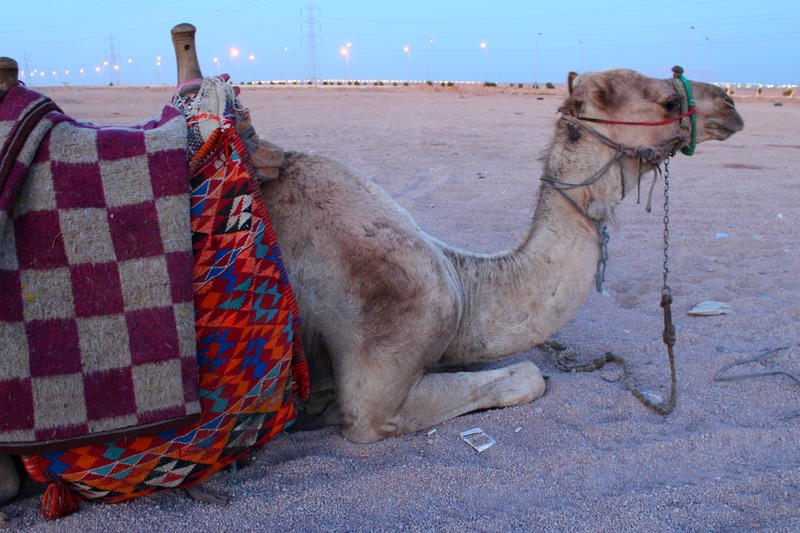 However, since I decided to dedicate 5 of my 7 days to diving, I didn’t do much apart from riding a camel and having a weird dinner at the desert, but this is a story for another post! Since I am here to talk about diving in Sharm-El-Sheikh, then let me tell what I thought about diving there, show you a few dive sites and inspire you to get started on getting your diving license soon! 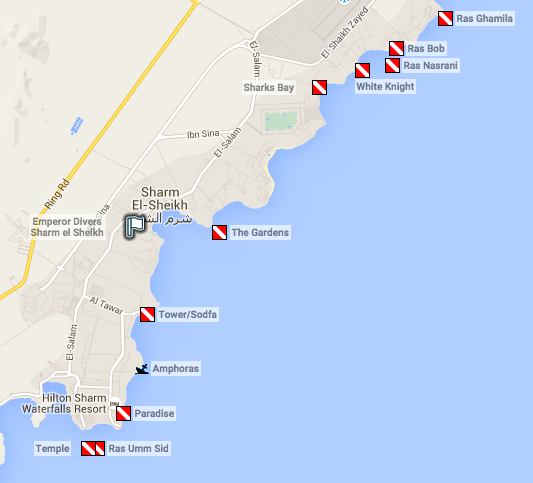 If drift diving and currents are what you are looking for, here is your place. In comparison to all other places I have been diving so far, Sharm-El-Sheikh is the one that offers more adventurous dives. I have to say that by the end of the trip I was feeling a much better diver than when I arrived, the circumstances probably influenced a lot. 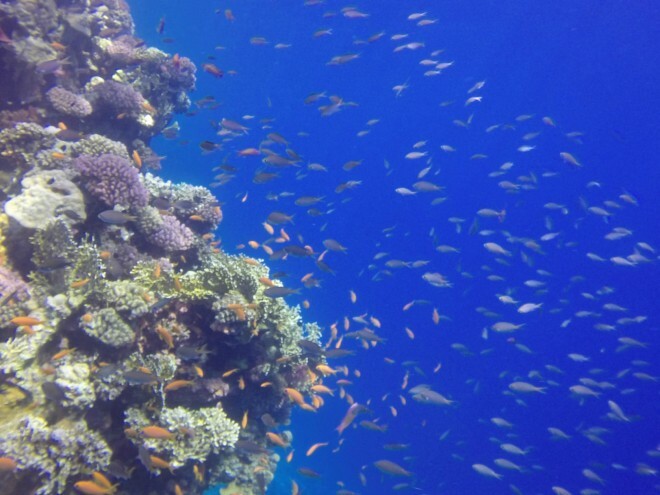 Sharm-El-Sheikh has enough dive sites to keep you busy for 1 month or more. 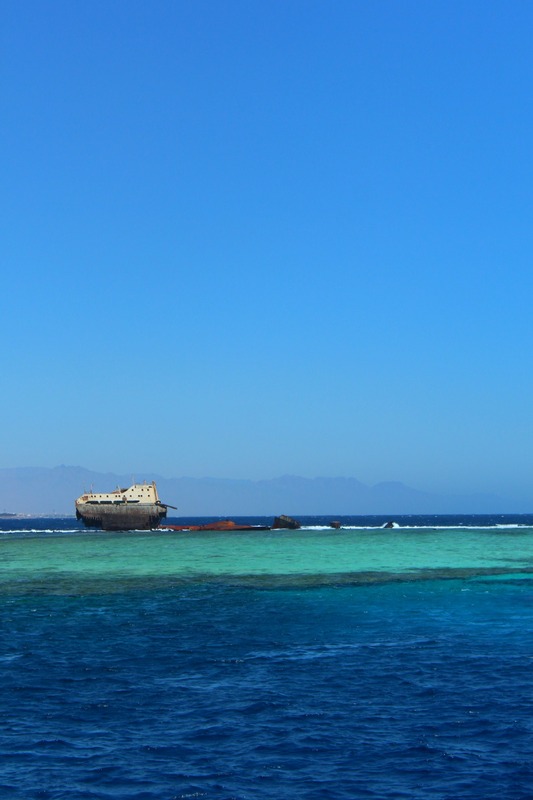 Apart from the local ones, it is also possible to dive around Tiran Island, at the National Park Ras Mohamed, and do some wreck diving at the Dunraven and the SS Thistlegorm to name a few, as well as at the dive sites of its neighbor Dahab. 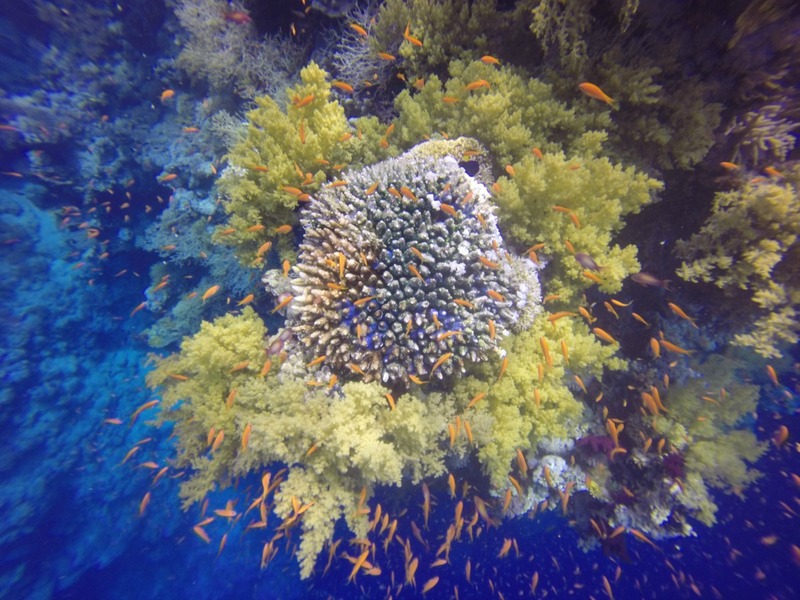 I only dived in 2 of the local dive sites, Ras Umm Sid and Amphoras, and I wish I did in all of them. 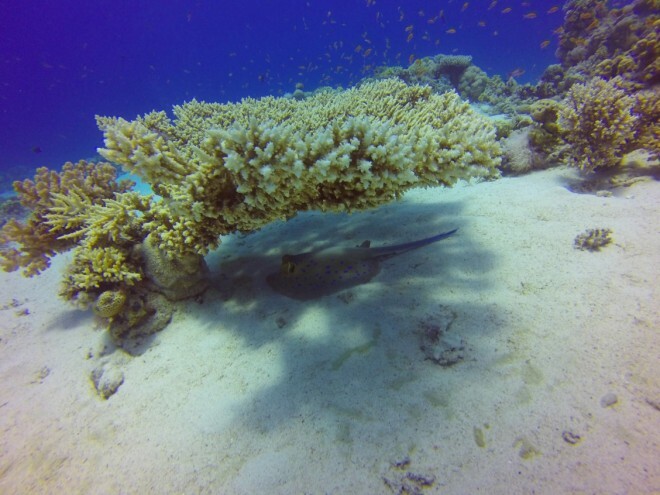 Sometimes you can see more interesting marine animals like mantas and sharks here than in other dive sites. 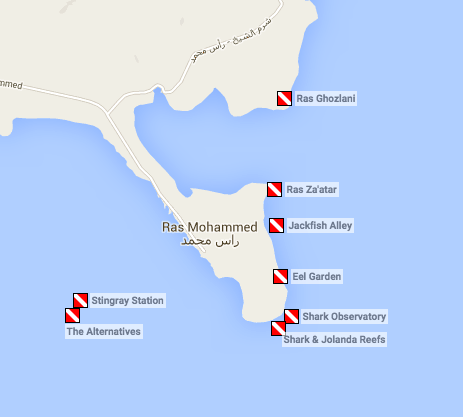 I do recommend diving on the local dive sites, especially Ras Umm Sid. 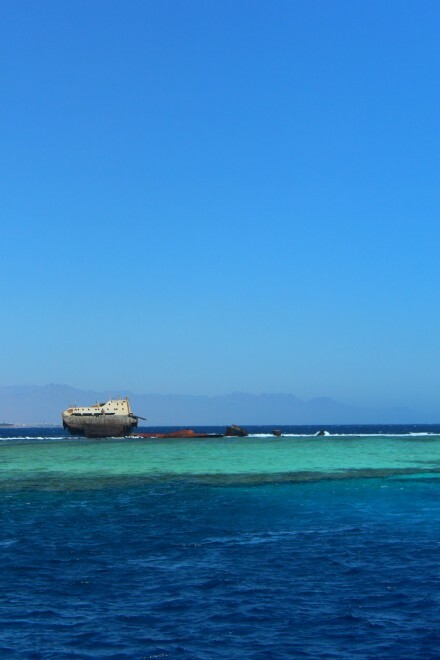 Tiran Island has one of the best dive sites in the World, Jackson Reef. 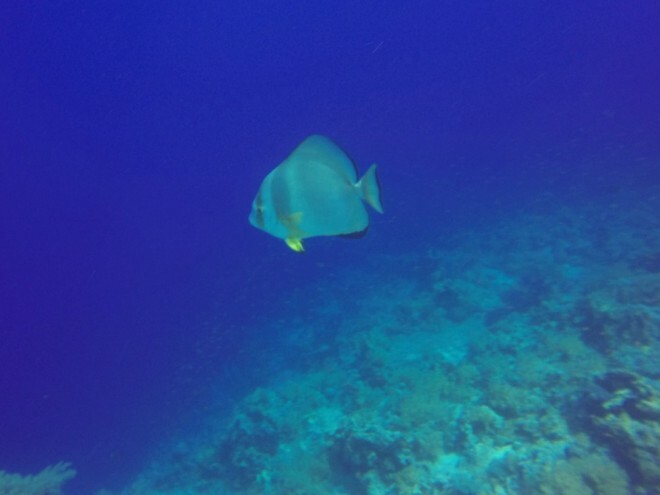 Though I only had the chance to dive on Gordon and Thomas Reefs. It is a beautiful place where sometimes is possible to spot baby sharks, eagle rays, hammerheads and white tip sharks, and it is also where the Panamanian cargo ship Loullis ran aground. 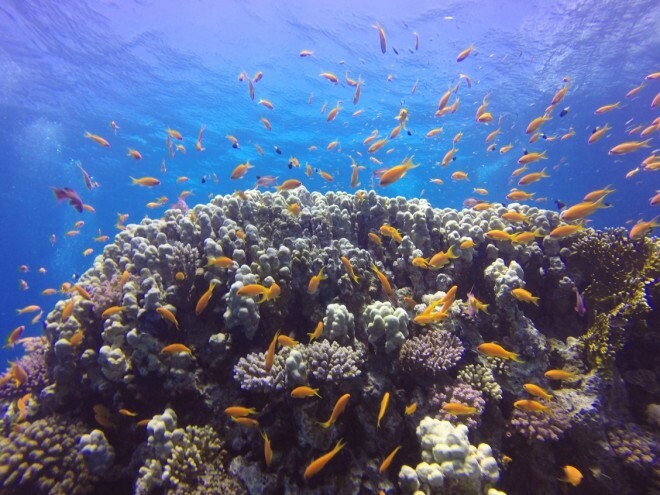 Ras Mohamed National Park is a preserved area, where no one lives and only tourists with excursions, divers and snorkelers are allowed to go for a daily fee of U$5.00. 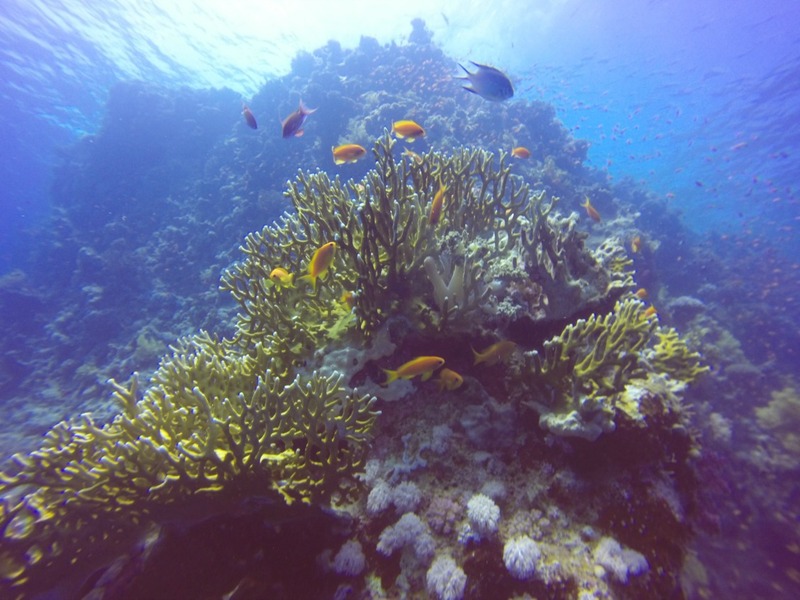 As the area is protected, the corals are amazingly beautiful and colourful, and the reefs are full of life. 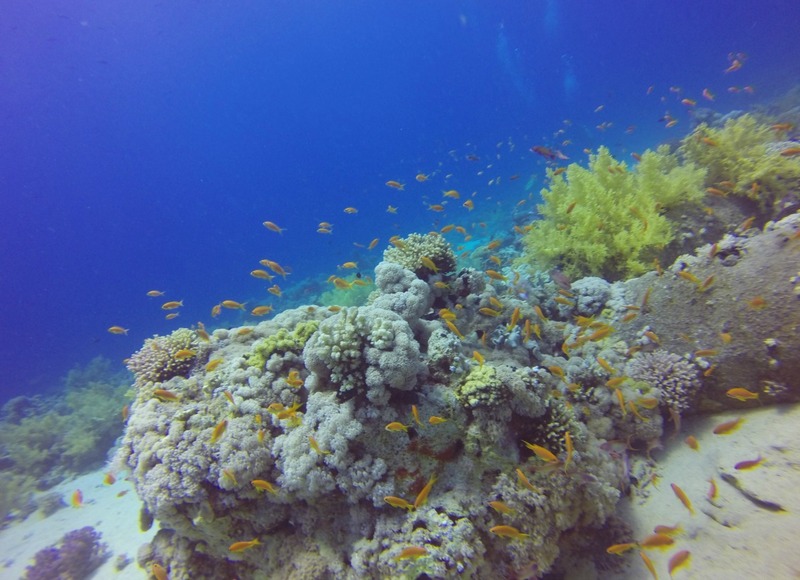 I had the opportunity to dive in 3 of its dive sites, one of them being Yolanda and Shark reef, which is number 14 of the best dive sites in the World, and I can totally understand why. 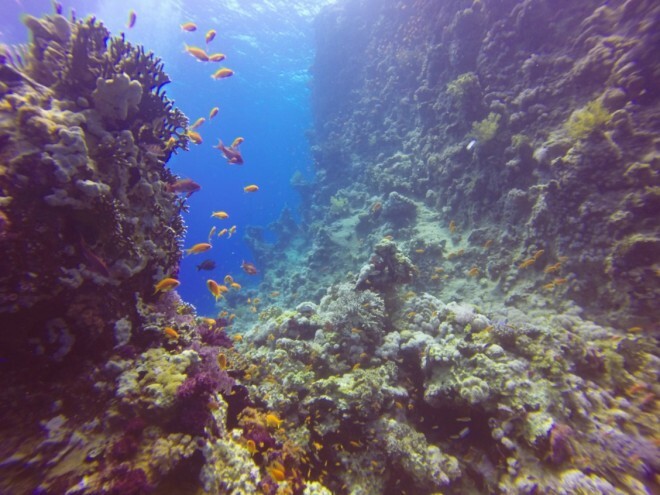 It is a “rock and roll” dive; I have never experienced such a strong current like I did here, not to mention that it changes direction all the time. No doubt a dive full of surprises, and I loved it! 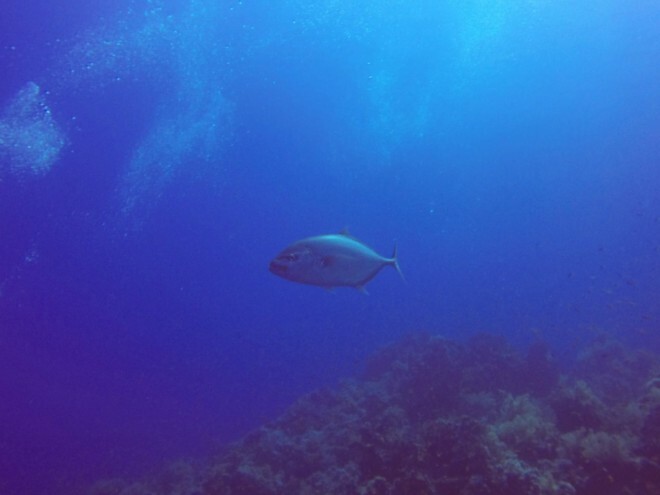 The dive site has walls, corals of several different species, offers the possibility of seeing sharks, mantas, tunas and much more. 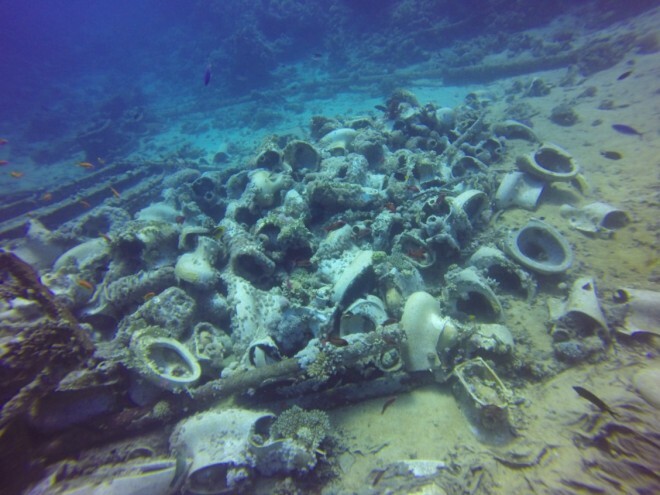 It is also where a cargo ship sunk and left behind cars and toilets… yes, toilets, lots of them! What used to be a car! 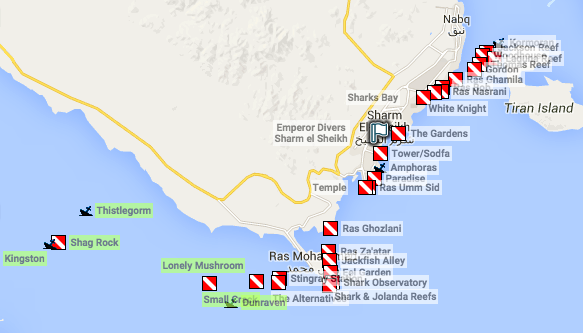 Apart from the amazing Yolanda and Shark reef, I also dived in Ras Za’adar and Jackfish Alley. I don’t only love big marine animals, I also love shipwrecks, and I had one of the craziest dives in my life when I decided to dive in the number 3 World’s best dive sites in the World, the SS Thistlegorm. 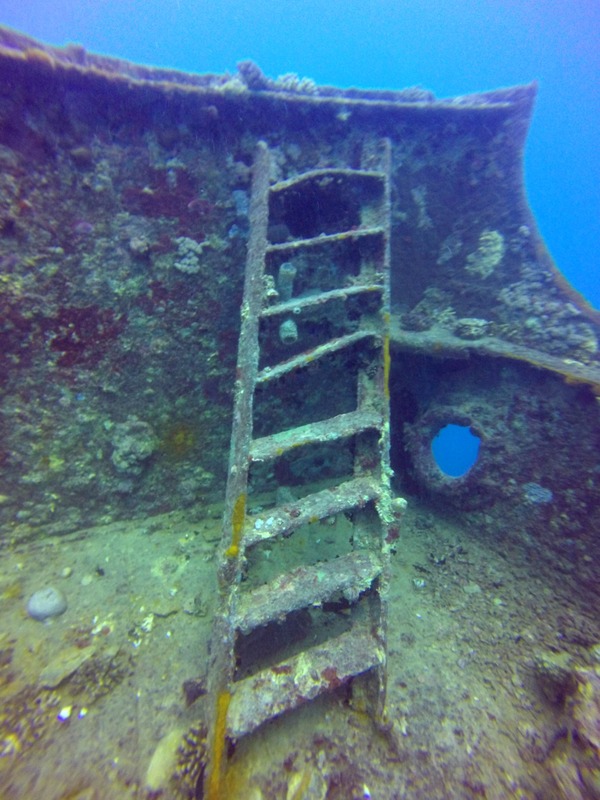 The British cargo ship was sunken by German bombs in 1941 during the World War II, and was first discovered by the famous Jacques Cousteau in one of his expeditions. The ship lies at 30m depth and is 126m long. 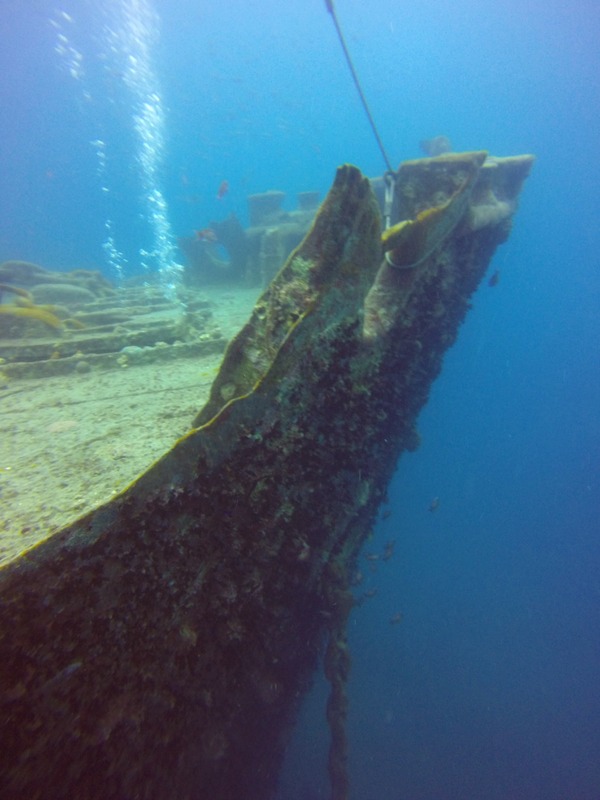 The dive is full of surprises, where in the first one you get to take a look at the outside of the ship, and in the second you have the chance to go inside. 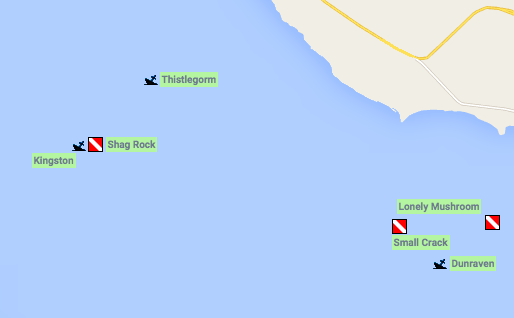 Wow, what a dive, what a ship… but this is also a story for another post. I have expressed my love for sharks and for big marine animals before, so of course when I am diving I expect to see them. During this diving trip I only saw one white tip shark, which was a birthday gift (yes, he probably knew I wanted to see him on my birthday) and huge Tunas, Napoleons and Barracudas. I did expect more, but this time I was not so lucky! Maybe I should just go to the Bahamas already and dive with some sharks. There are several great dive centers in Sharm-El-Sheikh, even if your hotel is not close to one, all of them offer a transfer, so feel free to choose the one that fits your needs better. 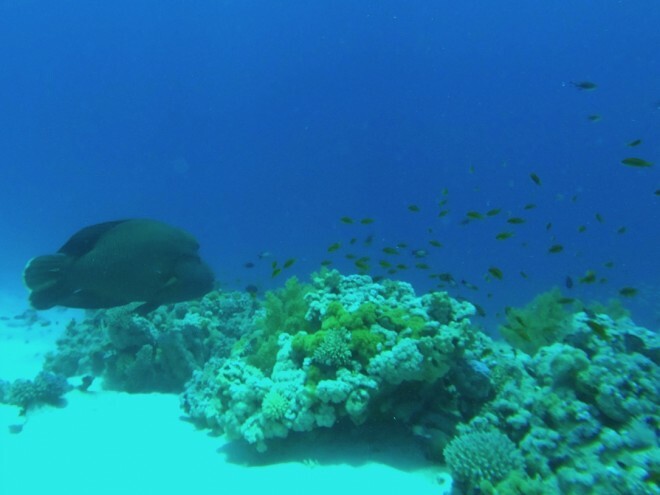 I dived with Sinai Divers and I was very happy with their services. 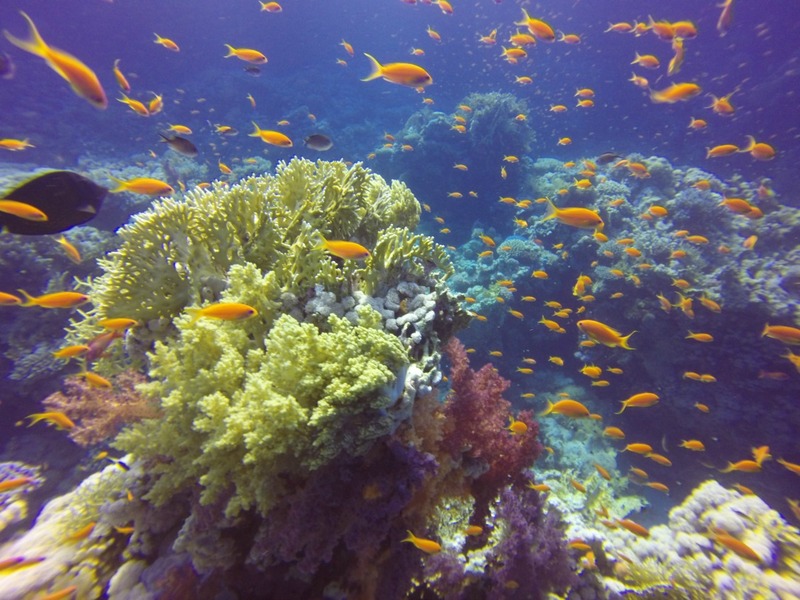 I can highly recommend all divers to dive in Sharm-El-Sheikh at least once in their lifetime. 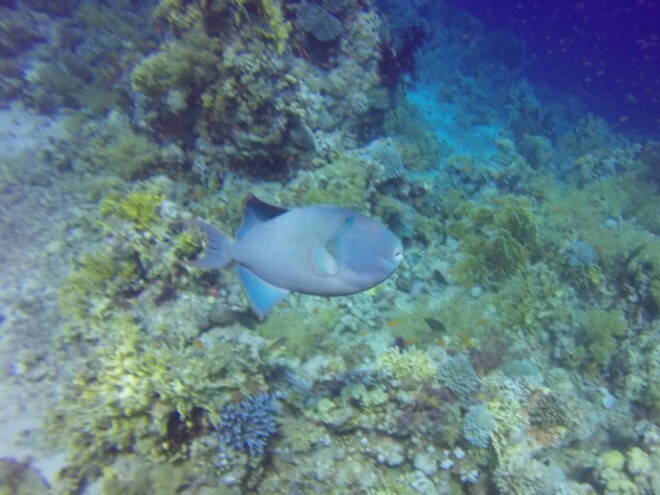 I had a great time, and I got to spend my birthday underwater! Awwwn Vlad, thank you so much!! Every time I write a post about diving I remember how much you like it!! 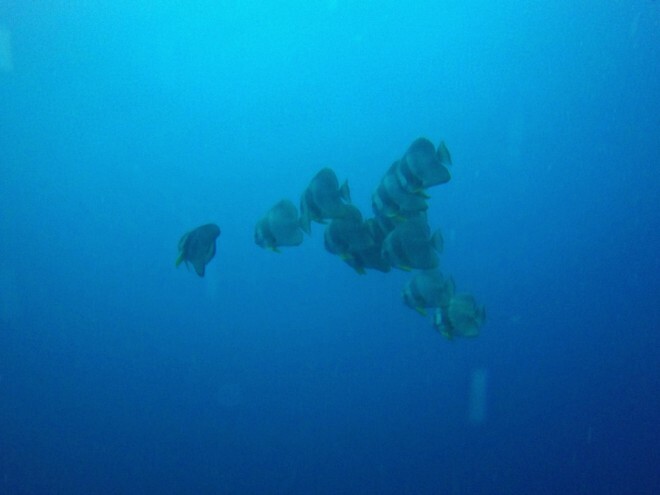 That toilet made me laugh so much underwater… hahaha oh my!! 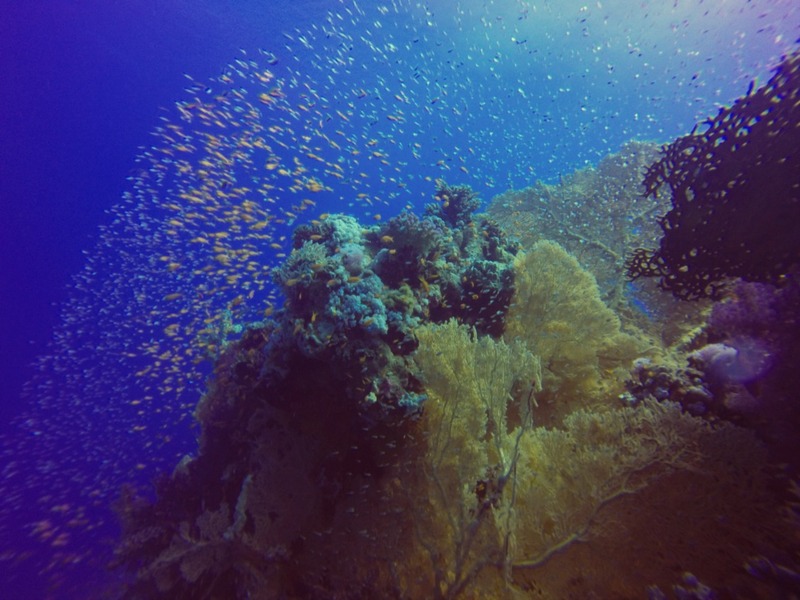 So many diving sites around, I hope I will get the chance to visit some day ! 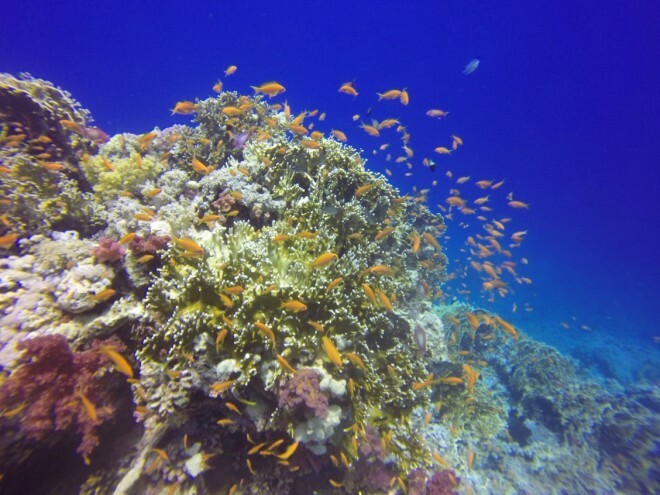 Yesss… Sharm is awesome for diving, and cheap 😀 I hope you do visit sometime!! Snorkeling is already awesome, but diving is indeed very different, it gives you more freedom to see things 😀 I hope you get to try it soon! I started with snorkeling too, and always wanted more… and I fell in love with diving!! hhahahaha yes it was a crazy dive!! But most of the time I had to swim against the current, and that was really tough hahaha!! 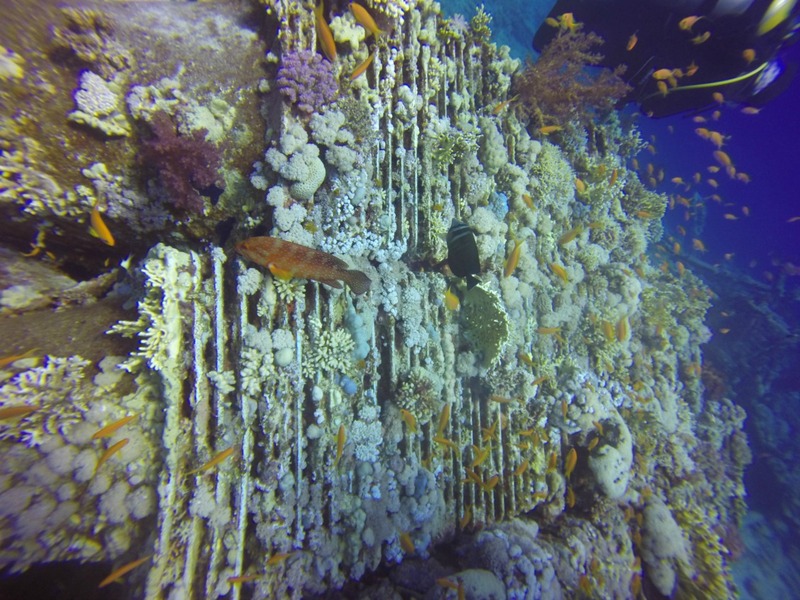 Ohhhh everyone has the same idea of sitting on the toilet, though it is not permitted, as you may destroy the habitat 🙁 there are corals in it. 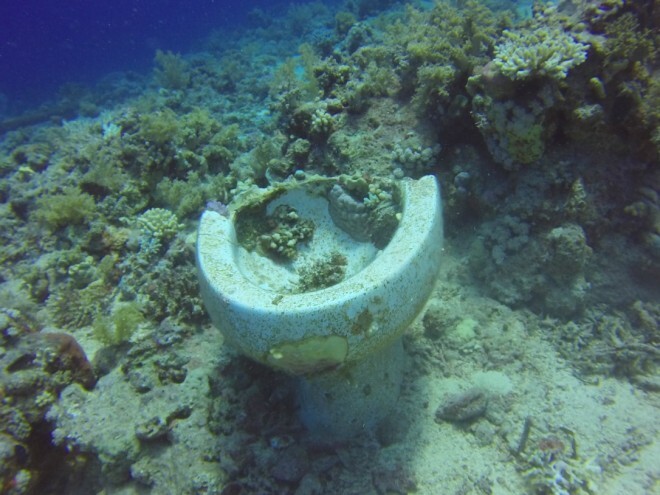 You’re photos as always are stunning underwater scenes – not so much the toilet! 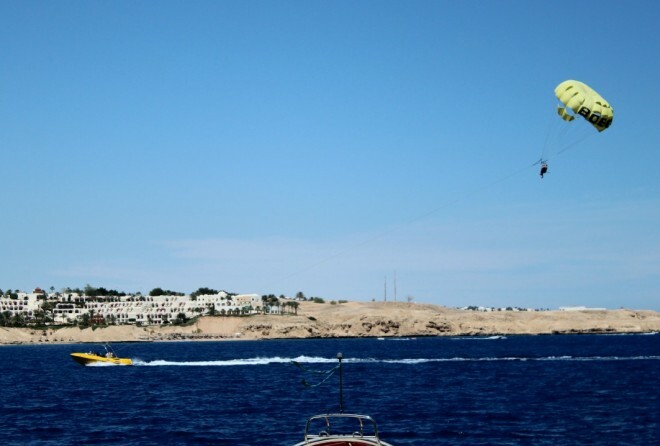 I’ve been to Sharm El Sheik twice now and love it there – such a good getaway if you want some sun, good food and relaxation – and of course DIVING! How cool that you have been to Sharm 2 times!! I really liked it there. You used to dive right? 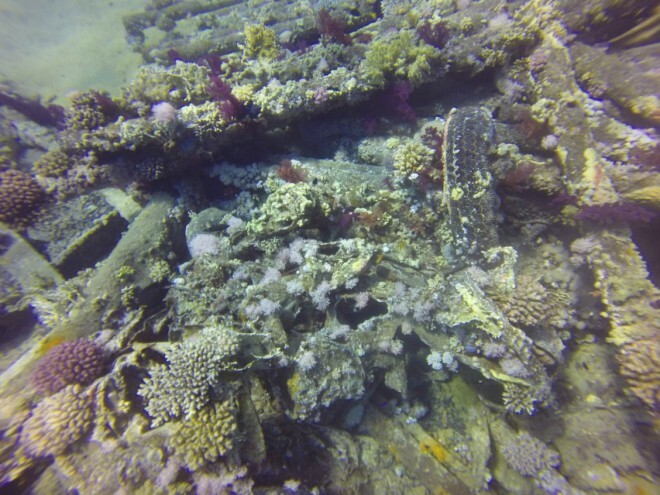 Did you dive there? Diving is not for everyone, my mother is also terrified with diving, and she doesn’t really like that I do it! But it is one of the most amazing things I have done so far in my life. 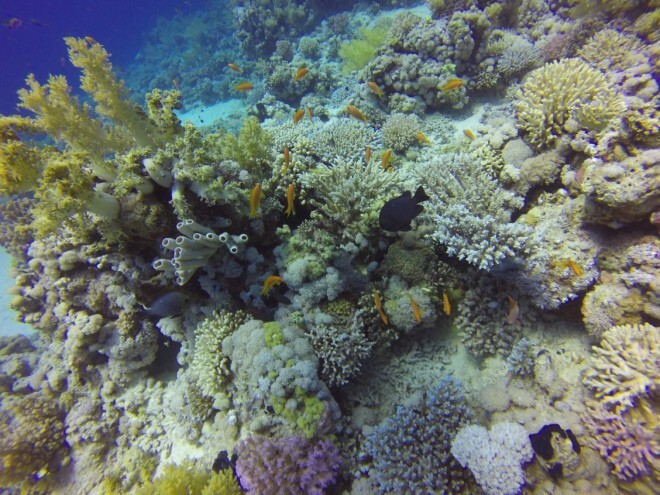 Yes, I had a great time diving in Egypt 😀 I hope to coe back for more someday! Ohhh how amazing that he is a dive master!! Sorry you afraid 🙁 I know many people who are too, don’t worry, you are not the only one. 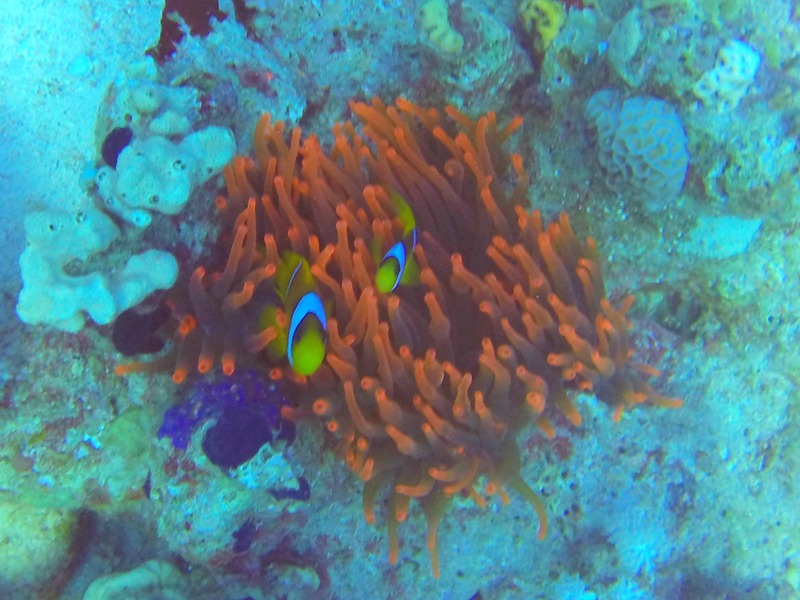 Me and my hubby started all together, and diving is now part of our lives. I just don’t know how it will be when we have our children! Thank you so much dear Phoebe!! Well, with snorkelling you can still see and enjoy a lot 😀 I started with snorkeling, and I still love it! Thank you dear 😀 Happy that you like the post! Snorkeling is already great, that is how I started! Thank you Tracey!! Don’t worry, you have crazy people like me to show you some of the underwater world’s beauty 😀 Thank you for stopping by! Snorkeling is very fun too, and you can see a lot!! hahaha really? How cool!! Where did you try? Hi Sarah!! Thank you very much!! You will need the full visa, either for Sharm or Marsa Alam. 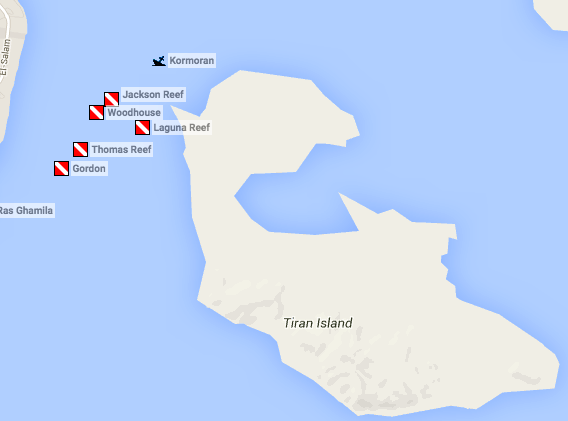 It gives you access to certain islands, and as you are going for diving you will certainly need the full one. 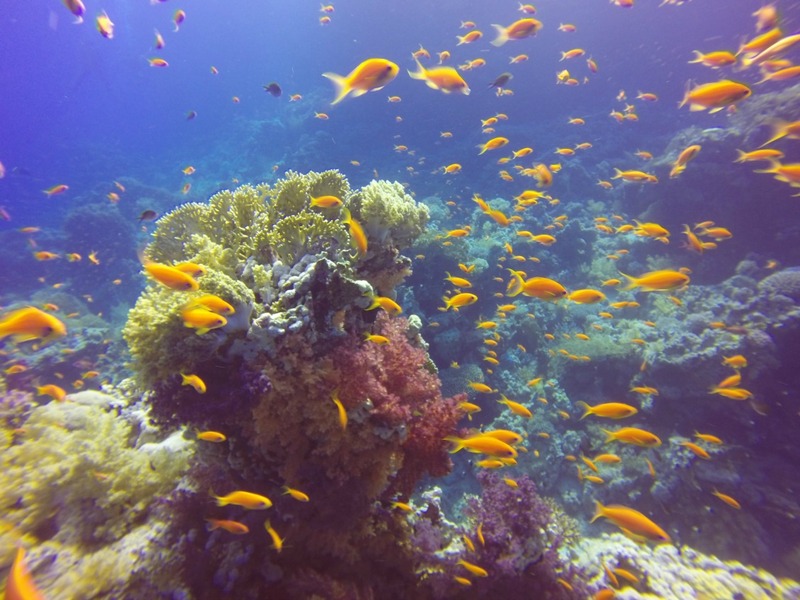 But the difference is simple, the normal one doesn’t allow you to go to some protected places, like in Sharm, you need the full visa to go to the Thistlegorm. About the Visa, sorry to hear that 🙁 me and W just need to arrive there and pay for the visa, though I think I read something about a change… now apparently everyone needs to get the visa in advance. How exciting!! I hope all works out for your trip. When are you planning to go? hahaha I only have to apply mainly for the US, and it’s already a hassle!